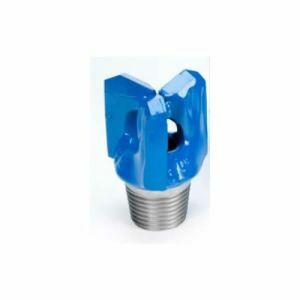 D6R Drag Bits – Mills Machine Company Inc.
Mills Machine manufactures an extensive line of D6R bolt-on tooth drag bits that can be made for a specific hole size or can be enlarged with bolt on reamer blades (see example below). 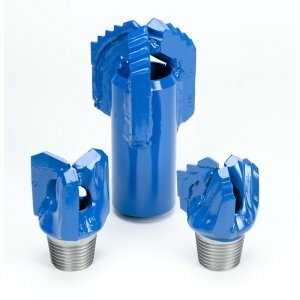 These bits start at 12 1/4″ diameter and can be made as large as you need. 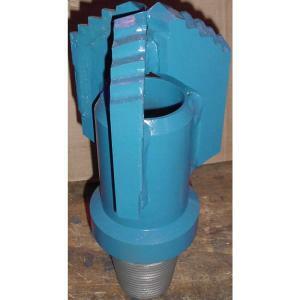 The basic bit is designed for the specific diameter of the hole desired or as a Reamer (Holeopener). 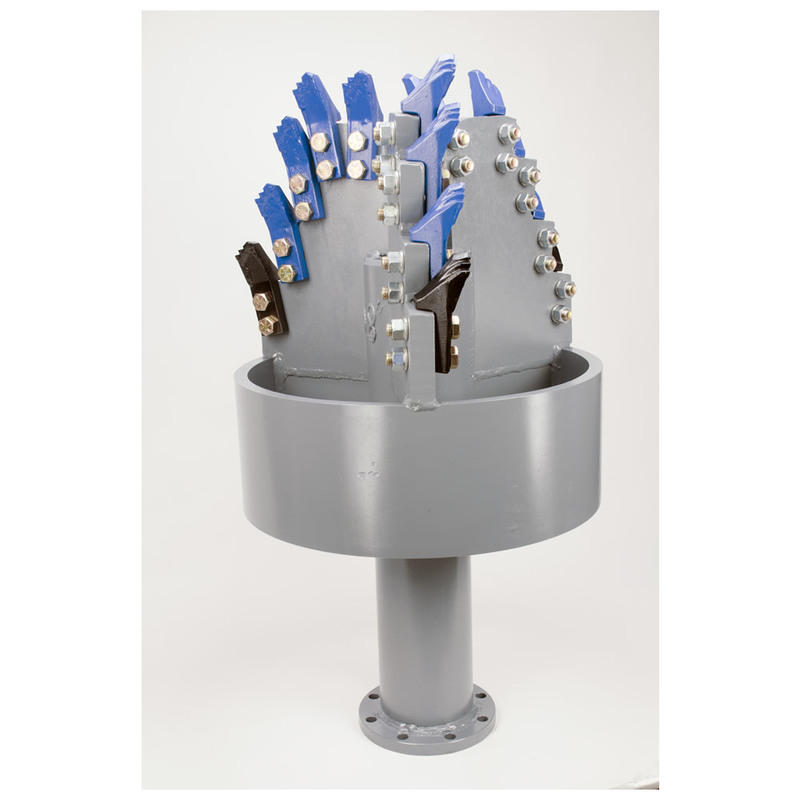 Bits are available for standard or reverse circulation (flanged or threaded). 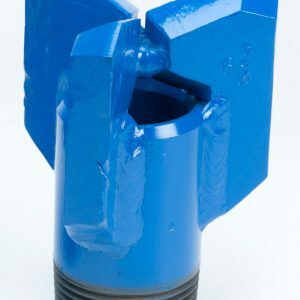 The bolt-on digger teeth are heavy duty castings with carbide inserts, the outside teeth have additional carbide on the outer edge for gage protection. The teeth are available in Straight(chevron or apex) type for medium soft to medium hard formation or Scoop (step) type for soft to medium formation.